inspirational people at Why Not People? Why Not People? has been created to host accessible live gigs and events to enhance the experience for its members and their friends. These showcase events are designed to help impact significant change in society for the 11.8 million people living with disability in the UK – helping to solve the issues often faced when booking and attending live events. It’s a members club established exclusively for people with disabilities. Membership is free. It will include accessible events hosted by us with a line-up of music, comedy and dance from World Class artists! Since its launch in January 2015, Why Not People? 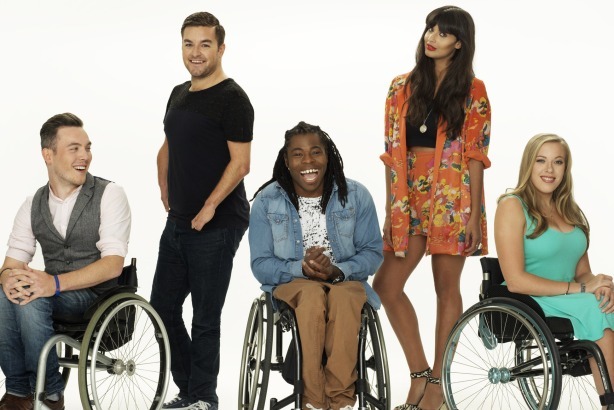 has received support from global musicians and TV personalities such as Coldplay, Calvin Harris, Sam Smith, Ed Sheeran, Mark Ronson, Tinie Tempah, James Blake, Paralympic athletes Ade Adepitan, Jordanne Whiley, Hannah Cockroft, Hannah Russell, TV personalities Alex Brooker, Martin Dougan and Sophie Morgan. Monday Matters reporter Bonnie also meets the boyband Flawless and there is live music from artist Tinie Tempah.